Oklahoma City-based Roan Resources, Inc. announced fourth quarter 2018 highlights and revealed an early view of its 2019 development plan. While management is optimistic, it also expects flat oil production in the first few months of the year. The announcement follows Roan’s corporate reorganization made in October 2018 and uplisting to the New York Stock Exchange in November 2018. The company will release its fourth quarter 2018 and full-year 2018 financial results on Monday, March 18, 2019 followed by a conference call the next morning. 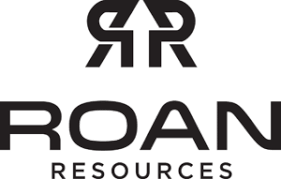 Roan stated production expected to be in-line with the mid-point of guidance at 54.1 thousand barrels of oil equivalent a day representing 110% growth from the fourth quarter of 2017 and 17% quarter-over-quarter growth. It also expected capital expenditures to be within guidance at $217 million. Roan’s update showed the average 30-day initial production rate of the 20 wells turned online in the fourth quarter was nearly 1,080 Boe/d. The updated development plan projects positive free cash flow by the end of 2019 versus previous guidance targeting 2020. While focusing on generating free cash flow by the end of this year, the Company expects to still be able to grow production by approximately 30% year-over-year. 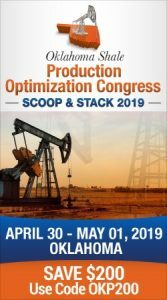 Capital expenditures are expected to be more heavily weighted to the first half of the year, as a result of increased completion activity as the Company develops its inventory of drilled, uncompleted wells from 2018 drilling activity. The Company anticipates production to be approximately flat on a sequential basis in the first quarter of 2019, as a result of a slowdown in completions activity during late fourth quarter and early first quarter. The Company reduced completion activity in order to allow for a resetting of service pricing, in recognition of the declining commodity price environment. The Company also expects to be able to generate continued double-digit production growth within cash flow in 2020. Projections assume commodity prices of $55 oil and $2.75 gas and current service costs.